Parents getting their children involved in technology as early as possible has become a societal imperative and a source of great pressure on parents these days. The belief is that if children don’t get on the technology train at an early age, they will be left behind and be doomed to a life of Luddite failure. So, we see kids who have iPads at age 2 and schools that are introducing computers in kindergarten. 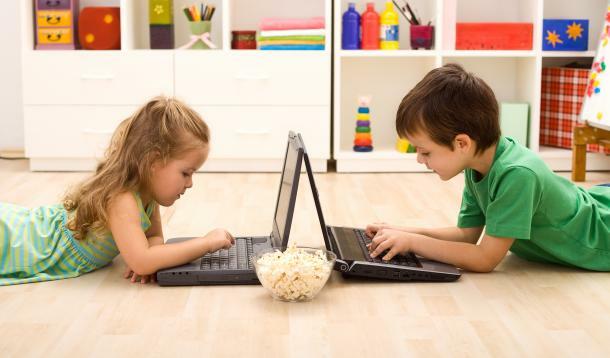 We see children who, by age 8, seem about as tech savvy as you can imagine, able to surf the web, play online games, use smartphone apps, and post on Facebook, Twitter, Instagram, and Snapchat. The lessons here. Don’t conflate your children being experts at social media with their being technologically skilled in areas that will actually be of benefit to their educations and careers. Don’t fall for the false notion that giving your children an iPad or smartphone or allowing them to sign up for social media before they are legally allowed to will put them in the luxury car of the technology train. Absolutely agree. Back in the early 90s, when we got our first batch of Dell desktops, most everyone was a technology child, in mind not body. I encouraged them to play Solitaire on their Windows 3.1 PCs hoping it would soften their apprehension to this new technology and improve their navigation skills. I encouraged them to explore their machines. They didn’t. After years, simple tasks like copy/pasting a file were still a challenge. Kids today can do a few things very well, but remain challenged for most of the important “work skills” as you note above. I run into it every day with 20 somethings, who grew up around computers. They know how to change the background on their home screen, but ask them to do something slightly challenging and they’re stumped. From a young age (not 2 year olds, but late single digits for sure), kids need to know how to use Office, search, understand what a red underlined word is, etc. Skills other than playing games and coloring. I liken it to the difference between watching TV and reading a book. I used to blame this computer illiteracy on Macs in schools. Now I know it’s a simple lack of understanding of how to that powerful tool in front of them. Certainly all youngsters today have parents who were exposed to computers since they were born. So they’re out of excuses. But if they never learned anything beyond the basics and have hobbled through their career path, history is destined to repeat itself. Bonus: Wow, conflate. I had to look that one up.